The legislators said that drilling for oil and natural gas would threaten both the ecology and economy of New Jersey. They will join as co-sponsors of legislation (S-258/A-839) prohibiting the New Jersey Department of Environmental Protection (NJDEP) from issuing any permits and approvals for the development of any facility or infrastructure associated with offshore drilling in State waters or outside of State waters. “A proposal such as this would have devastating effects on New Jersey. 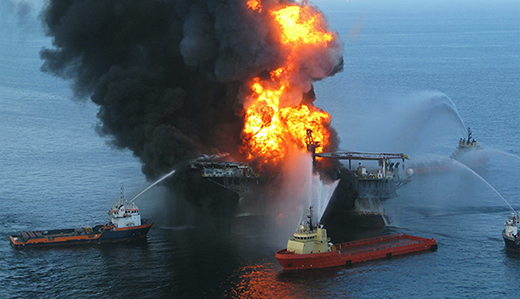 The federal government must take into account the events of the past such as the Deepwater Horizon oil spill which flooded the Gulf of Mexico with five million barrels of oil. Drilling for oil and natural gas off the Jersey Shore isn’t worth the risk,” added Assemblyman McGuckin. Tourism is a $45 billion industry for New Jersey supporting more than half-a-million jobs for residents. The total value of coastal properties in the state is estimated to be $700 billion. The legislators warned that offshore drilling could cause catastrophic and lasting economic effects that could harm both homeowners and visitors.